The above photograph is a clip from German television. 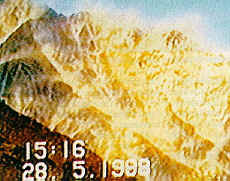 It shows a mountain on the India-Pakistan border which is anomalously glowing following a series of nearby underground nuclear bomb tests. Source of image: Dr. Franz Lutz of IRT in Germany. The photo raises questions for the hollow earth community, implications for particle physics notwithstanding ( light isn't supposed to pass through mountainsides ). We have to wonder if bunker buster bombs, which drill their way underground before they detonate, don't have the purpose of collapsing cavern worlds, or at least of collapsing the tunnels which provide access back and forth. And why? Could it be that the subterranean manipulation of the surface world is true, orchestrating much of the reality which we mistake for spontaneous development? "Defence analysts say the US armed forces have been increasingly interested in developing a range of weapons to hit deeply buried targets." And here is one of them: Penetrator! headed into the nearby Tora Bora mastiffs. with another Saudi and a Kurdish fighter, decided not to hang around. 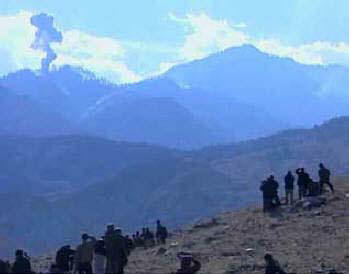 Osama bin Laden fled Tora Bora around December 1, heading for Pakistan's Parachinar region. officers picked up his transmission and conclued that Osama bin Laden was still in his caves. Matthew Klee. "The first explosion spreads flammable aerosols through the underground complex. Then, the second ignites the fuel” - crushing the internal organs of everyone caught in the blast zone. during Operation Anaconda. Was this “Mother Of All Bombs” also the Mother Of All Deceptions? Paxinos and Weyman were right. 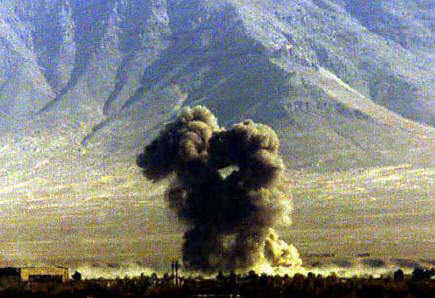 four 5-kiloton GBU-400 nuclear bombs in Tora Bora and other mountainous regions of Afghanistan. four nuclear detonations took place alongside a craggy karst in the open air. Wouldn't seismographic needles jump on distant dials, I asked Hank? They did, he replied. But pinning down the source of such blasts in nearly impossible. If major megaton-size nuclear weapons tests cause earthquakes, could a “baby nuke” do the same. people killed and destroying 500 houses. “It is not unlikely that the use of powerful bombs led to the quake,” one geophysicist said. But were the quake-triggering blasts nuclear? doubling to an average 127 major quakes per year. coincidence.' It is a dangerous coincidence." Tokai University, and Yoshio Kato, Head of the University's Department of Aerospace Science. So far, more than one million people have died in earthquakes that could be related to nuclear tests. base in the Afghan northern capitol, birds sat on tree branches with blood running from their beaks. had bled from their mouths. Two of the birds appeared to be partly melted into the trees branches'." Were these symptoms caused by the massive concussive blasts of fuel-air bombs? appeared to be internal concussive injuries. radioactive cannon shells, bomb and missile casings. In fact, they were very likely looking at severe contamination from actual nuclear weapons. than one ton of NDU. their words, “astonishing” and “astounding”. A control group three uncontaminated Afghans averaged 9.4 nanograms of uranium per litre of urine. 315.5 nanograms. A 12-year-old boy living near Kabul displayed 2,031 nanograms. was a vast experiment with new uranium weapons. But use your common sense." spouses and subsequent offspring at home. 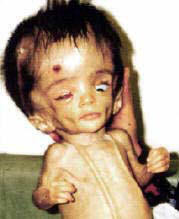 tested at Nangarhar showed any trace of Depleted Uranium. found in the Afghan civilians' urine is Non-Depleted Uranium." striking health effects from four nuclear blasts. died after their conditions deteriorated. their eyes,” its leader related. Paktia, Nangarhar, Bagram, Mazar-i-Sharif and Kunduz,” the UMRC stated. baby she went into shock and died after five hours "
to 27 Xs normal,” as the UMRC found. nuclear weapons were detonated. “Rain runs downhill,” he says. ROUTINE USE OF NUCLEAR WEAPONS? - the time to act is now.